Neodymium Oxide Nanoparticle Dispersions are suspensions of neodymium oxide nanoparticles in water or various organic solvents such as ethanol or mineral oil. American Elements manufactures oxide nanopowders and nanoparticles with typical particle sizes ranging from 10 to 200nm and in coated and surface functionalized forms. Our nanodispersion and nanofluid experts can provide technical guidance for selecting the most appropriate particle size, solvent, and coating material for a given application. We can also produce custom nanomaterials tailored to the specific requirements of our customers upon request. See more Neodymium products. Neodymium (atomic symbol: Nd, atomic number: 60)is a Block F, Group 3, Period 6 element with an atomic weight of 144.242. The number of electrons in each of Neodymium's shells is 2, 8, 18, 22, 8, 2 and its electron configuration is [Xe] 4f4 6s2. The neodymium atom has a radius of 181 pm and a Van der Waals radius of 229 pm. 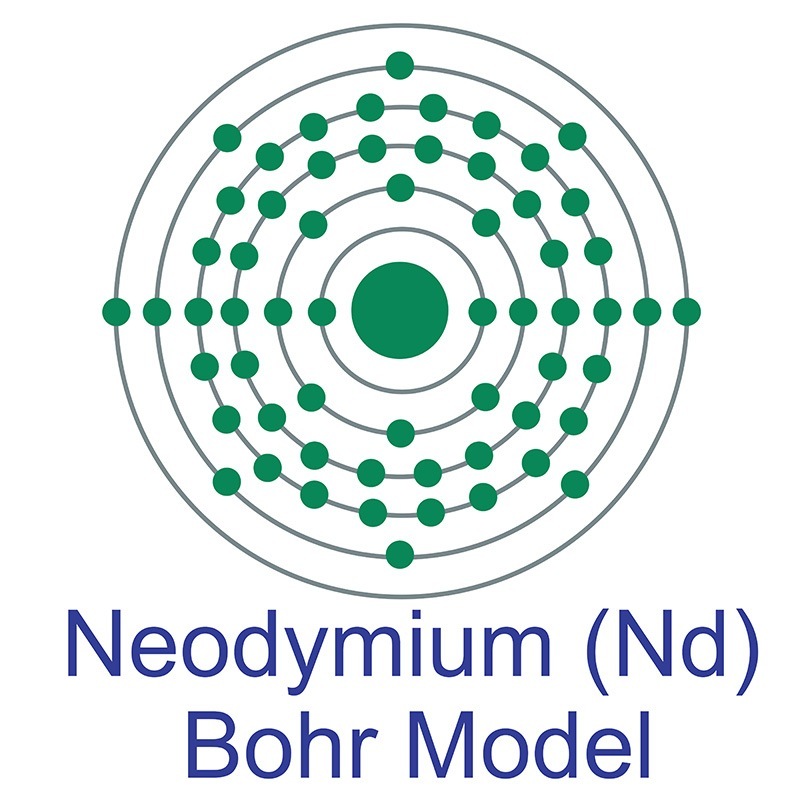 Neodymium was first discovered by Carl Aer von Welsbach in 1885. In its elemental form, neodymium has a silvery-white appearance. Neodymium is the most abundant of the rare earths after cerium and lanthanum. Neodymium is found in monazite and bastnäsite ores. It is used to make high-strength neodymium magnets and laser crystal substances like neodymium-doped yttrium aluminum garnet (also known as Nd:YAG). The name originates from the Greek words neos didymos, meaning new twin.